Seafood is a way of life in Seattle, and nobody captures the look, feel and flavor of the Pacific Northwest’s saltwater bounty better than the folks who grow it themselves. In its fifth generation of family ownership, Taylor Shellfish started opening these oyster bars with the goal of designing the restaurant in which it would be most enjoyable to eat its premium product. 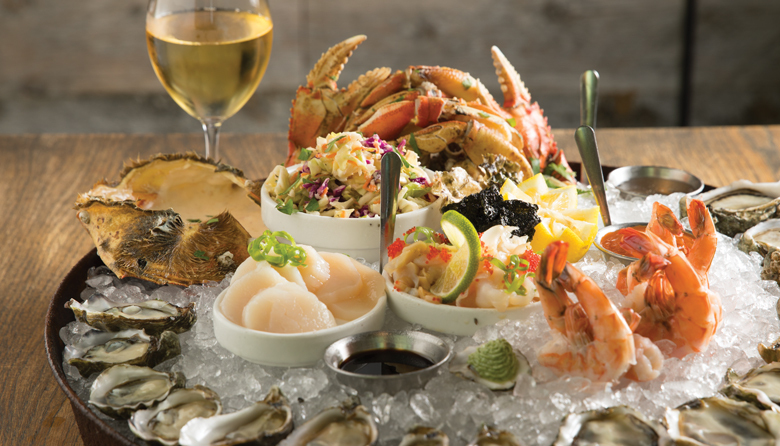 So, when you sit down to the Salish Sampler (market price)—an array of shucked bivalves and sliced fish, raw and gleaming over ice—the classic wood and perfectly paired wines seem to fit in, yet they take a backseat to the shucker’s dozen, geoduck, yellowtails, scallops and prawns in front of you. And that’s just what they’re supposed to do: Let the seafood be the star. TIP: L’Oursin’s five-course tasting menu ($75) and accompanying wine pairings ($35) offer an expert-level course in Northwest seafood, from poached arctic char to spring greens in prawn vinaigrette.